Curtains falls on the 2015-16 season with some incredible stories from Leicester City winning the premier league and Real Madrid coming out from nowhere to win their 11 European Cup. Clubs season is over but that does not mean the end of elite football as all top players will be heading to France as the European Championship gets underway on 10th June. As for the casual footballers or a fan you must be heading into some early season mud-fest on Sunday mornings and no doubt will be looking to get your hands on new pair of football boots for the new season. We have made it easy for you to choose the boots which fit your style and budget with our top “10 best soccer cleats list”. The list below is compiled of different manufacturer rather than only NIKE, ADIDAS and PUMA shoes. We tried to put all the other notable brand top shoes in the list. Puma has been on top of their game as far as their soccer shoes are concerned. For the best part of last 3-4 years, Puma boots has dominated the best soccer cleat list with their evoSPEED, Puma KING and evoPower 1.3 which was released earlier in 2016. As the name suggest, evoPOWER boots mainly made to produce more power and accuracy while shooting and their evoPOWER 1.3 edition officially released in January 2016 is perfect for attacking midfield players. It features a stretchable AdaptLite upper with GripTex technology resulting in better control in all conditions. While the lightweight Pebax sole plate allow the player to bend the foot just as much as barefoot. Lotto overhauled their ground breaking Zhero Gravity series new edition VII 200 released in late 2015. It was back in 2002 when Lotto produced worlds very first laceless soccer shoes but Italian brand is turing its back on laceless design and back to normal laces to make sure a better fit for every foot. The new Zhero Gravity VII 200 features a “single-piece Kurim foot shell” which helps produce more power and 360′ control. shock-off heel reduces shock on impact. Like we mentioned before in the last two years Puma has been the most consistant brand producing innovative and quality soccer shoes. They are not afraid to take risk and pretty much outscore both Adidas and Nike in terms of unique soccer shoes. Their evoSPEED series was a hit from the word go and last year they released evoSPEED 1.4 one of the lightest boot available in market weighing up only 103 grams. evoSPEED 1.4 is pretty much inspired by 1.3 genration shoes in the series and they are designed solely for speed. It uses a two-piece upper but keeping the overall comfort and fit. The most unique thing about this boot is new “SpeedFrame system” which helps lock your foot in place for increased stability and agility. One of the most desirable soccer shoes available in the market. 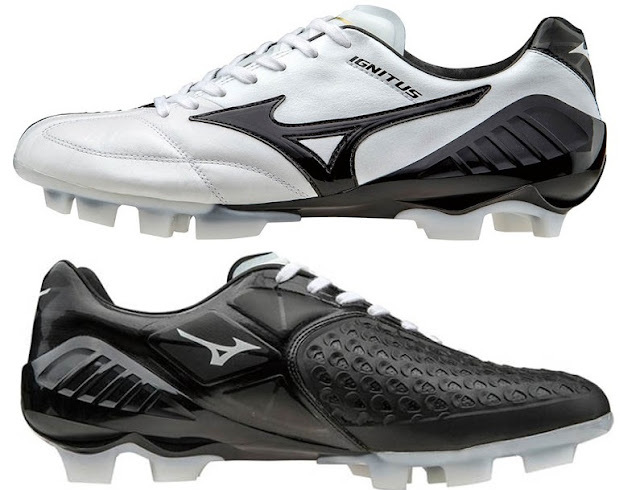 A fourth generation boot was released in the highly successful Mizuno Wave Ignitus series back in november 2015 and it features a Kangaroo leather upper promising ultimate ball control. Produced in Japan it was released with two top tier models in black/white half-half designs. Mizuno’s very own “Bio Control Panel” a rubberized panel which provide assistance in better shooting and longrange passes. Adidas Messi 15.1 were released back in summer 2015 with couple of lower end 15.2 and 15.3 editions. Messi 15.1 is the top end model and it features a unique super soft leather-like upper also comes with 3d grip and combine that with unique MessFRAME stability cage on the heel it gives the player so much control over the close movements just like Messi. Weighs at around 232g, 15.1 version outsole features a messiGAMBETRAX technology which is for better agility and speed. Adidas released new generation boots in their “X” series for the Euro 2016. Adidas promised to introduce boots which will stand out in showpiece event like Euro 2016 and this X 16.1 is exactly that feating techfit collar and an ultra-thin one-piece upper proving superb control. tongue-less design and external heel counter provide better lockdown of the foot and ultimately more speed. Released back in late 2015, One of the best editions in Nike’s Tiempo Legend series was the new Tech Craft V edition, pretty much an old school classic with modern technology. The boot features all new “Tech Craft” a thin layer of leather added to the heel area which result in better ball control. It keeps all the technology from Tiempo Legend V and only a slight different plus absolute class colourway makes Tech Craft edition one of the best in the market. 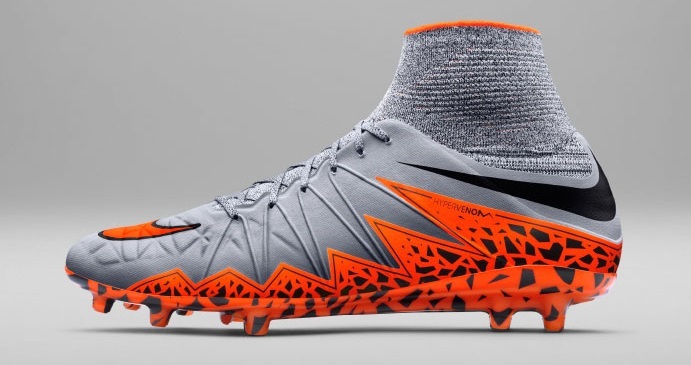 Nike released the next generation boots in their top tier series called “Hypervenom” and the most expensive version is Hypervenom Phantom which is marketed by Barcelona’s Neymar. It is one of the most expensive football boots available in the market with priced at around $275. Its comes with both style and incredible comfort. Featuring striking Dynamic Fit collar and Textured upper with NikeSkin. Spanish boot maker Joma released their second generation shoes in their Joma Super Copa series in early 2016. They are marketing it with most affordable high quality shoes. Price is the main focus and its for the players who are looking for top end affordable shoes. One of the cheapest soccer cleats available on the market right now, Warrio Skreamer 2nd generation was released back in late 2014. Since Warrior was rebranded as New-Balance Skreamer series is not longer in production. It featured many new technologies with premium microfiber upper, glove-like fit and a unique micro-injected Arrowhead Vamp on the front which helps in precise threaded balls and shooting.